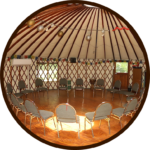 Sacred Grove Retreat Center operates as a personal growth and leadership facility. 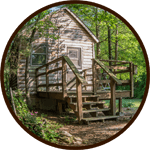 Located on 11 scenic acres in the countryside of Cabarrus County, North Carolina, Sacred Grove Retreat Center offers a place for individuals and groups to gather, experience adventure, reflect, bond, focus, and grow. Sacred Grove Retreat Center is one of the best retreat centers in NC offers facilities and amenities for retreats and special events, as well as several lodging options for personal and group getaway experiences. 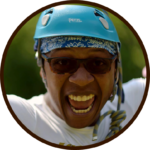 The most exciting addition, the high ropes course Charlotte NC, is the perfect tool for leadership, team, and personal development. Whether you seek retreats in North Carolina to grow through quiet inner reflection or learn to overcome outward challenges, Sacred Grove Retreat Center is the place for you! Sacred Grove Retreat Center offers a variety of in-house retreats in North Carolina as well as space for you to create your own corporate, educational, wellness retreat North Carolina, or team building event. It is secluded, yet conveniently located for easy access from several major cities. The Ropes Challenge Course presents a unique experience where groups come together to create effective teams and empower them through encouragement and team building exercise. It provides a safe, supportive atmosphere to bond, grow, and explore potential. Sacred Grove Retreat Center has four climate-controlled lodging facilities to choose from – a hand-built Log House, the Grove House, the Thoreau Cabin, and the Baby Yurt. When you rent for the day, weekend, or week, you also get access to all the common areas. WOULD YOU LIKE TO JOIN THE SACRED GROVE RETREAT MAILING LIST ?